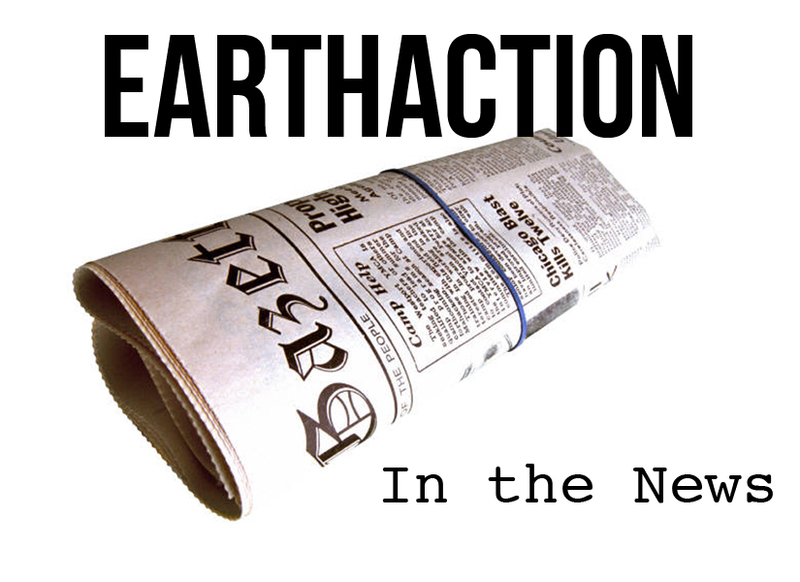 EarthAction, launched at the Earth Summit in Rio de Janeiro in 1992, is one of the world's largest network of organizations, policymakers, citizens and journalists that work together for a more just, peaceful and sustainable world. Over 2,600 Civil Society Organizations from 165 countries—with a combined membership in the tens of millions—make up EarthAction’s global Action Network. 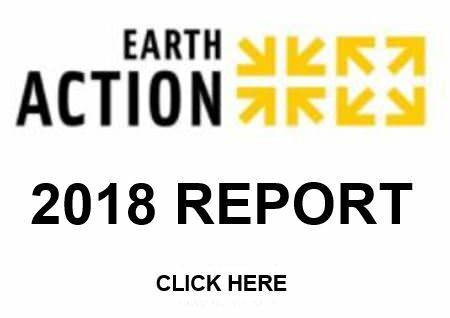 In addition, over 1,000 national legislators worldwide have asked to regularly receive EarthAction’s Legislative Action Kits, and over 500 journalists have requested to receive our Media Alerts. Thousands of citizens worldwide are also part of this global network. Worldwide, over 80% of the ozone-depleting substances listed in the international treaty called the Montreal Protocol have been phased out. Elimination of the last 20% is underway. This was the focus of EA’s first global campaign in 1992. The Rome Statute of the International Criminal Court (ICC) was adopted by the UN Diplomatic Conference in July, 1998. The Treaty came into force on 1 July, 2002. The ICC is an independent, permanent court that tries persons accused of the most serious crimes of international concern, namely genocide, crimes against humanity and war crimes. The ICC is based on a treaty, joined by 100 countries. Since 1993, EA carried out 4 global education and mobilization campaigns that helped lead to the creation of the Court. Clayoquot Sound in British Columbia, one of Canada's last remaining temperate rainforests, was rescued from imminent destruction from logging and in 1999 was established as a UN Biosphere Reserve. In 1993, EA was the first organization to bring international attention to Clayoquot Sound and subsequently carried out several campaigns that helped secure Clayoquot’s preservation. In 1993 and 1994, EA carried out global campaigns focused on the World Bank and the Global Environment Facility (GEF). 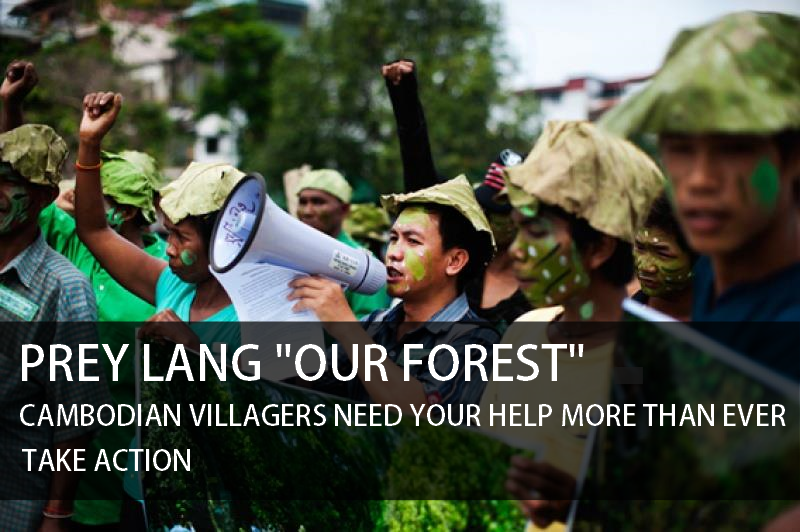 These campaigns pressed both organizations to put in place measures that resulted in the Bank and the GEF being more open and responsive to input from non-governmental organizations and citizens. In 1993, EA carried out a global campaign in support of the World Court Project to Outlaw Nuclear Weapons. This worldwide project, of which our campaign was a part, resulted in an historic opinion from the International Court of Justice (ICJ) in July 1996. The ICJ ruled that the threat or use of nuclear weapons is generally illegal, and that states have an obligation to conclude negotiations on their elimination. Since 1993, working with many organizations and coalitions around the world, EA has carried out 12 campaigns on climate change and global warming. These campaigns, organized around the global climate change negotiations, helped create global awareness about the issue of climate change and to pressure policymakers to sign, ratify, and implement the Kyoto Protocol and put in place other agreements and policies to stabilize the world’s climate. In 1994 Greenpeace called on EA to do a global campaign on Toxic Wastes. Within a few months, we were able to influence the final vote on an amendment to the Basel Convention on toxic wastes that stopped the dumping of toxic wastes from rich to poor countries. In 1994 & 1995, EA did several campaigns that helped prevent a civil war in Nigeria and return the government from military control to a democracy. In 1996, EA did a campaign to stop the poisoning of our seas calling on countries to agree upon and ratify a treaty on Persistent Organic Pollutants (POPs). In December 2000 the POPs treaty was finalized by consensus of 122 governments. This new convention eliminates or severely restricts production and use of the world’s most dangerous pesticides and industrial chemicals; ensures environmentally sound management and chemical transformation or destruction of POPs waste and stockpiles; and prevents the emergence of new chemicals with POPs-like characteristics. The treaty commits the developed world to provide developing countries with significant financial and technical support so that they can successfully implement treaty provisions. Also in 1996, an EarthAction campaign focused global attention on protecting a rainforest in central Africa. After receiving thousands of letters from around the world, and a visit from a CNN camera crew that responded to our Media Alert, the President of Gabon reversed a Presidential decree that would have allowed logging in the Lopè Forest Reserve, a pristine forest in the heart of his country. This area is now protected as a UN Biosphere Reserve. In 1997, the US Senate ratified the Chemical Weapons Convention following an EarthAction campaign focused on this goal. In December 1999, Alexandr Nikitin, a former Russian naval officer who was jailed for releasing information about the dangers of nuclear pollution from Russia's aging submarines, was acquitted on all charges, including treason, by the St. Petersburg City Court. In 2000, the Russian Supreme Court upheld the lower court decision and Nikitin was freed. EA carried out several campaigns rallying global support for Nikitin’s acquittal and release. In 1999, following an EarthAction campaign, The Venezuelan government set aside plans to allow mining and logging in the Imataca Forest Reserve, one of the most biologically diverse regions on Earth, and consulted with indigenous peoples, environment and human rights organizations and local officials to make a new plan to protect the Forest Reserve and the indigenous communities within it. Also in 1999, the peaceful political influence exerted by EarthAction and other responsible groups in Seattle took the worlds’ forests off the World Trade Organization (WTO) chopping block. This was a key moment in the global movement to make the WTO and other international institutions more accountable to the public. EA did a global campaign to influence the Seattle negotiations and also had a presence in Seattle. In 1999, EarthAction’s Directors, Lois Barber and Nick Dunlop, were among the 20 global citizens highlighted in the book, Planet Champions: Adventures in Saving the World. Throughout the 1990’s, Civil Society took part in and influenced many UN conferences including the Social Summit, the Women’s Summits in Cairo and Beijing, the Habitat Conference, the Earth Summit and Earth Summit Plus 5. Prior to each event, EarthAction organized a global campaign focused on raising awareness among legislators, the media and the general public about the event and influencing the debate and decisions taken. Many of the specific recommendations we supported were adopted in the reports and action documents that were produced following these UN conferences. From 1993 to 2006, EarthAction carried out 14 campaigns and played a significant role in building awareness of and support for the UN Convention to Combat Desertification (UNCCD). This treaty aims to protect the soil and soil fertility in the dry land regions of the world that cover over 40% of the Earth’s land surface. With 191 ratifications, the UNCCD is the most widely ratified treaty in the world. Our Latin American office served as the Latin America focal point for this treaty. The USA was one of the countries that ratified the UNCCD. EarthAction played a 3-year leadership role in forming a US coalition with Senate ratification as our goal. This was the first major environmental treaty that the US Senate, under the Foreign Relations Committee leadership of Senator Jesse Helms, ratified in over ten years. Since 2002, following the sending of 10,000 Action Kits worldwide, an additional 49 governments have signed, and an additional 61 governments have ratified the Optional Protocol to the Convention on the Rights of the Child on the involvement of children in armed conflict. This Protocol raises the age at which children can be recruited into the armed forces to 18. It has been recently reported by UNICEF that for the first time since they have been keeping records, the estimated number of child soldiers worldwide is decreasing. In 2002, EarthAction received several prestigious international graphic design awards for our Child Rights Education for All Action Kits. As called for in our 2003 Action Kits on Ending Violence Against Street Children, the UN agreed to include street children in its global study and report on violence against children. In 2001 and 2002, EarthAction laid the groundwork for the e-Parliament, an electronic network of the world’s democratically elected national legislators. The e-Parliament is now its own successful international organization. From 2003 to 2007 EarthAction was a Founding Partner in helping to create the World Future Council, a new global forum to protect the interests and rights of future generations. The World Future Council was launched in May, 2007 in Hamburg, Germany. It will provide long-term thinking for today’s world. We are grateful to all those that have provided the support that has enabled EarthAction to carry out these campaigns, and to our Partners, other organizations, individual members, national legislators and journalists who have taken action as part of these campaigns. Our successes represent their combined efforts.